Pfaudler invented glass lined steel and is the leading global provider of glass lined reactors and corrosion resistant equipment for the pharmaceutical, chemical, and processing industries. Pfaudler manufactures the highest quality glass lined equipment, including reactors, vessels, columns, mixers, instrumentation, and more. Pfaudler aims to provde the ideal glass lined equipment for all of your laboratory needs. 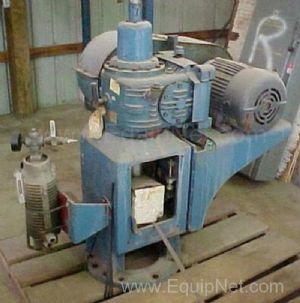 EquipNet is constantly receiving used Pfaudler equipment through our exclusive contracts with our clients. 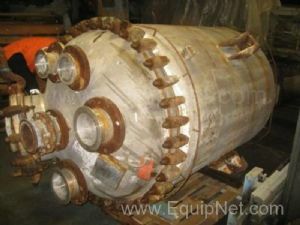 Our inventory of used Pfaudler equipment includes reactors, tanks, heat exchangers, mixers, fillers, and much more. If you don't see the used Pfaudler equipment you're looking for, call one of our representatives and we'll find it for you. We can also source the right tooling and change parts that you need through our huge network of corporate clients from around the globe. Pfaudler glass lined reactors are widely used in the chemical processing industry. 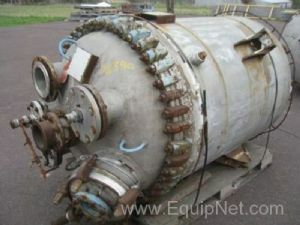 EquipNet is constantly receiving used Pfaudler equipment including glass lined reactors in every capacity possible; small lab sizes, 500 gallon reactors, 2000 gallon reactors, 4000, 6000 and above.